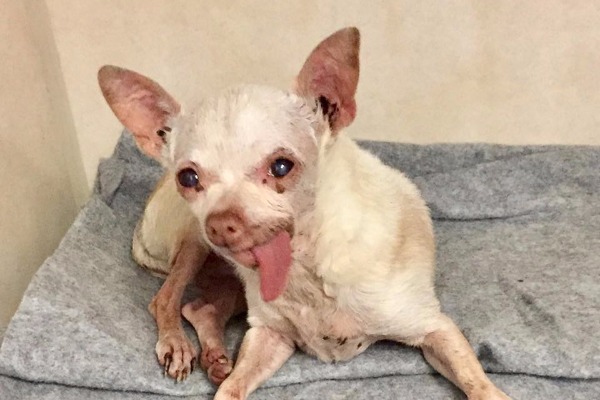 Gracie is a friendly, female Chi who's tongue hanging out makes her even more special. Heartbreaking that this precious senior may have her life ended in a freakin kill shelter! You can tell her owners didn't take care of her just by looking at her ears. Angels pleas find Gracie a forever loving home today. She deserves the best life has to offer.